The spiritual needs of the community are handled by three local churches. 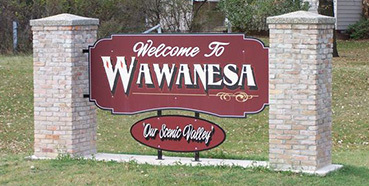 Within the community, the Wawanesa United Church and St. Paul’s Anglican Church, both have had roots in this village since the earliest days. 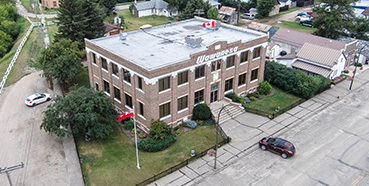 Located in Treesbank, only minutes from Wawanesa is the Treesbank Community Church. The United Church began life as the Methodist Church and the Presbyterian Church. When the two churches combined to form the Union Church, the Methodist building was moved to become the annex of the Presbyterian Church. The United Church obtained this final name in 1925. It was located across the street from St. Paul’s Anglican Church. It is of note that the first wedding to be performed in the Presbyterian Church was that of Nellie Mooney and Robert McClung. Nellie McClung was a famous women’s activist, helping obtain the vote for women in Manitoba and Canada. In 1998 a new, modernized church was built next to the Centennial Hall. It is now busy all week as the community’s Nursery School, Alcoholics Anonymous (Monday evenings), the RHA’s Baby Steps, choir practice (Thursday 7:30 PM – and anyone is welcome to come join in the singing) and meditation group meet, learn and work. The church activities throughout the week include our monthly meetings and potlucks. 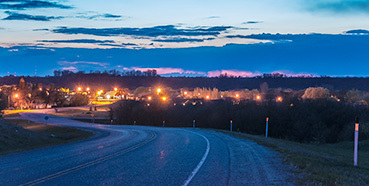 Two United Church Women (UCW) groups meet here – one of women from the Nesbitt-Burbank area west of us and one from women who live in and around Wawanesa. Between their work, our ministry to those in hospital and the Personal Care Home, fundraisers such as concerts and talent auctions, and offering special services for funerals, weddings and holidays we support and care for this community. Worship continues weekly (the first Sunday of the month we gather at 9:30 AM having coffee afterwards, the rest of the Sundays begin at 11:15 AM). We have a congregation with every age welcome and a Sunday school class that gathers during worship each week. We share our ministry, our staff and office space with Brandon Hills United Church located north-west of us sharing in joint services yearly. There is a joint youth "Faith Explorations” group that meets monthly for grade 5 to 8-ers. No matter your age or your experience in faith, church or spirituality we would love for you to join us! Please call Rev. Harvey Hurren at the church office at 824-2162. A photo of the front of St. Paul's Anglican ChurchSt. Paul’s Anglican church is an attractive building situated across the street from the old United Church building in Wawanesa. St. Paul’s was built in 1900 to house the Anglican congregation that was then renting the Methodist church. The small church is made of brick with Gothic style windows, contrasting with the characteristic austerity of the Presbyterian Church that was across the street. 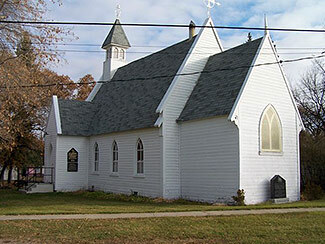 The number of Anglicans in Wawanesa was small compared to the number Presbyterians and Methodists and by 1934 the church was unable to support a resident minister. Services were still provided after 1934 by lay readers and clergy from Brandon and other towns. Services are the first and third Sunday of the month at 2:00pm and services are conducted by Rev. Mark Murray. For more info people could call Lilian Trowbridge at 824-2122. 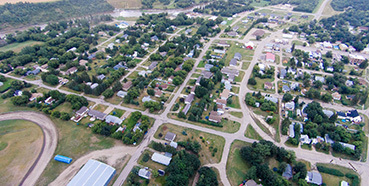 Treesbank Community Church is located 7 miles from Wawanesa in the Hamlet of Treesbank. TCC began in 1966 with the purchase of the old Treesbank School and has gone through numerous renovations and expansions over the years. TCC is affiliated with the Evangelical Mennonite Conference (EMC) since its conception and serves as an Evangelical church. TCC is an active church with programs for the whole Family. There is Sunday School for children ages 2 and up each Sunday at 10am through the winter. There are also adult Sunday School classes and a youth Sunday School class. TCC has an active youth group for ages 13 to 18. Activities and Bible Studies are planned throughout the year. For adults, there is also a mid-week Bible Study. 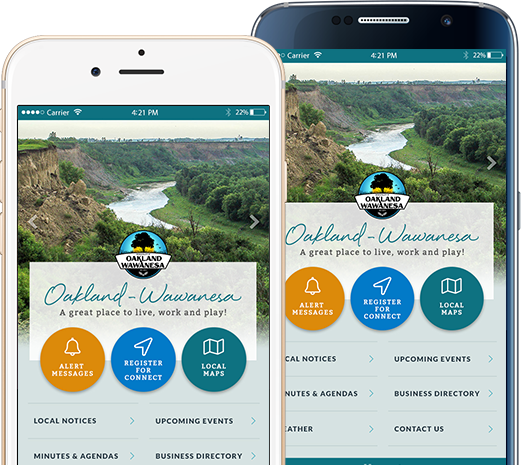 Many special events are planned throughout the year, including men’s breakfast, special meetings, the community Christmas Banquet and many others. If you are living in the Wawanesa or Shilo areas and are interested in a local Evangelical church to worship and fellowship with others, TCC is the place for you.